Kyle represents clients in complex individual and class action disputes across the country, focusing heavily on business torts and other commercial issues, consumer fraud claims, securities fraud and related professional negligence claims, and employment cases. 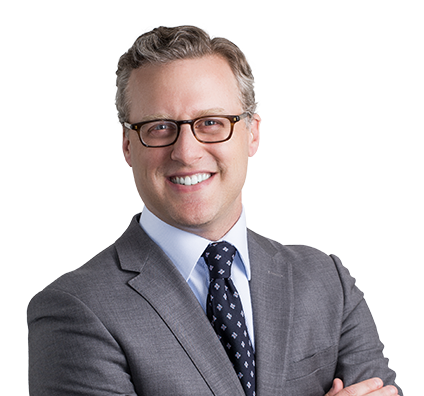 In addition to his work for healthcare-industry clients, Kyle devotes a substantial part of his practice to representing private sector colleges in a range of matters, including class action cases and claims brought under the False Claims Act. Furthermore, Kyle has extensive experience defending accounting firms against high-stakes suits involving claims of professional negligence or violations of fiduciary duties. Won jury verdict for client in breach of contract claim where plaintiff sought more than $20 million in damages from client. Won complete dismissal of malpractice claims brought against major accounting firm after discovery revealed that the plaintiff had made a series of misrepresentations to the accounting firm and engaged in widespread pattern of misconduct. Obtained summary judgment for a private-sector career college in a False Claims Act suit where the relator sought damages exceeding $100 million. Defeated class certification in a consumer fraud case brought against a major post-secondary education provider. Defense awards in several arbitrations brought against private-sector career college clients. In pro bono representation, defended 19-year-old who faced 12 criminal counts and a possible prison term of 15 years to life. Jury returned a verdict of not guilty on all counts. Trial counsel for Express Scripts in a breach of contract action brought by a large compounding pharmacy. Plaintiff claimed Express Scripts wrongfully terminated the parties' contractual relationship, thus barring the plaintiff from participating in Express Scripts' provider network. Defeated plaintiff’s request for a preliminary injunction to halt the termination. Alternative Medicine and Pharmacy, Inc. v. Express Scripts, Inc., 2014 WL 4988199 (E.D. Mo. Oct. 7, 2014). At trial on the merits, pharmacy sought more than $20 million in damages. Jury returned a complete defense verdict after less than an hour and a half of deliberations. Won complete victory for private-sector career college and its corporate parent in a False Claims Act suit in federal district court in Milwaukee, Wisconsin. Relator sought damages of over $100 million. After significantly reducing the scope of the case on jurisdictional grounds, United States ex rel. Brent M. Nelsonv. Sanford-Brown, Ltd., F. Supp. 2d, 2014 WL 2873861 (E.D. Wis. March 17, 2014), obtained summary judgment on all remaining claims, F. Supp. 2d, 2014 WL 2646209 (E.D. Wis. June 13, 2014).Affirmed on appeal. Successfully defended major professional services firm in a series of related accounting malpractice actions. Plaintiffs initiated suits in 2011 and sought millions of dollars in damages. After substantial discovery revealed that plaintiffs’ owners and officers had made multiple misrepresentations, both in the course of the client’s work for the plaintiffs and during the lawsuit, the plaintiffs voluntarily dismissed the lawsuits in 2015 with prejudice. Defeated class certification in a consumer fraud case against a national postsecondary education provider. Case was pending in Madison County, Illinois, and involved claims that our client violated the Illinois Consumer Fraud Act and the Private Business and Vocational Schools Act by failing to provide accurate information to prospective students over a seven-year period. Plaintiffs demanded $20 million to settle. State appeals court held that class certification was improper.Case was then dismissed. Obtained complete defense award in an arbitration brought against a private-sector college client for claims of fraud and breach of contract. Shortly thereafter, obtained dismissal of a similar claim pending in a different arbitration proceeding on the eve of a scheduled hearing. These outcomes led to favorable settlements of over a dozen additional claims in arbitrations which were set for hearings over the following six-week period. Member of a trial team that defended private sector college against consumer fraud claims in a five-week trial in Clay County, Mo. The plaintiffs, five former students of client’s school, sought more than $10 million in damages and $3 million in attorneys’ fees. After less than one full day of deliberation, jury returned a complete defense verdict on four plaintiffs and awarded the fifth damages of under $8,000. Trial court denied plaintiffs’ counsel’s request for fees. Result was affirmed on appeal. Lead defense counsel for private sector college in an arbitration involving allegations of disability discrimination and fraud. Claimant sought several million dollars. Arbitrator returned a complete defense award. Pro bono counsel for disabled individual and his legal guardians in an effort to obtain assisted-living and therapy benefits under the Medicaid waiver program. After filing administration action and conducting discovery, matter settled with the client receiving the complete requested benefits under the program.